Craig Cavanaugh opened his briefcase and drew out the folder containing the manuscript. It was getting dark when he finished reading. No question, he thought, Kitty Traherne can write. Her face came back into his mind. He saw the pain in her eyes, heard the urgency in her voice, as he recalled the passion with which she had told him her reason for writing this highly controversial book. A slight flush had swept over her pale face as she said, "I think this country is in danger of being drawn into another foreign war, Mr. Cavanaugh." Kitty Traherne, who had been a field nurse in France during World War I, knew the madness of war firsthand and couldn’t bear to see it happen again. She had to risk doing whatever she could to prevent it, however the public might respond - and despite the bitter rift she was creating between herself and her family, the Camerons. She had to tell people about the horror of the last war, remind them of the awful price paid by the young men who were made to fight it. As an editor, Craig Cavanaugh dealt with writers all the time. But something about Kitty Traherne touched him in a different way. Craig would fight to publish her book - and in the process, he hoped to get to know its lovely author. 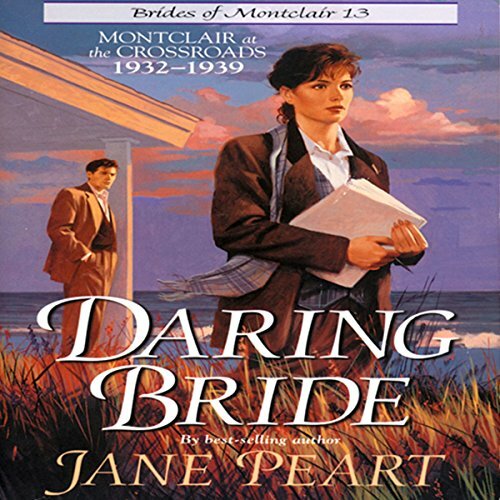 If you could sum up Daring Bride in three words, what would they be? A wonderful story of several members of a prominent Virginia family who despite the loss of their husbands move forward into new careers and along the way find love again. Trevor McGowen. I think she portrayed him correctly. Arrogant and used to getting what he wanted. Excellent story of hope and encouragement. There is joy and maybe a few surprises after dealing with a loss in ones life.